Home Art An Amazing Weekend! So I survived my four days in Chicago with my good friend The Judge. Dave Matthews and his band of merry men and women were amazing and I managed to find a new beer to add to my list of desirables. The festival went from 1pm to around 11pm each night and we got to see some great bands. 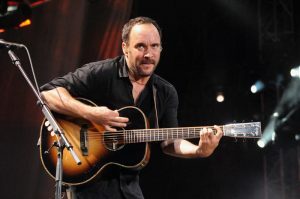 Dave Matthews himself was on stage for over ten hours during the course of the weekend, and although I’m quite sure he has some mental issues, he was amazing. Judgie and I managed to see these other sweet acts too: David Gray, Ray LaMontagne, Michael Franti + Spearhead, Kid Cudi, O.A.R., Amos Lee, and G. Love and Special Sauce. I have never been to a music festival, but with The Judge there to help me and the V.I.P. tickets it was a breeze. The event was very well managed and everything went off smoothly. I particularly appreciated the air-conditioned bathrooms. Right?